You might have noticed that I love reading. I read whenever I have to wait for public transport to stop being sucky; I read when I’m upset, I read when I am bored. It’s like a pacifier for grownups. Unfortunately, books aren’t for everyone. There are a dozen reasons why; maybe you can’t focus for long periods of time; maybe you don’t have any time at all. You might be unable to hold a book because you’re in the hospital, or you’re blind, or you’re getting old and your eyes get tired from peering at the ink. Maybe you only read on holidays or on trains and heavy books aren’t an option for you. Luckily, for these there are answers. Audiobooks: I bet you’ve heard of these. They’re popular on Amazon, but you can also borrow them at the library. They’re normal CDs that contain an entire book. A bonus is that the reader can be an actor you love, like Wil Wheaton for Ready Player One, or Stephen Fry for Harry Potter. Audiobooks are regularly used by people who have to drive a lot, or who like to listen to something else than the radio when they’re cleaning or ironing. Grootletterboek: roughly translated large-letters-book. These are literally books written in a larger font, where the words are up to 1-2 cm tall. Obviously, this makes the books a bit thicker, so one copy is sometimes spread over two or three volumes. I’ve seen many people who were relieved to have heard of this solution for their aging eyes. Easy books: In Flanders they have the ‘Makkelijk Lezen” sticker. This is an easy version of a story. An Alice In Wonderland copy, for example, which is a couple hundred pages, can be retold in fifty pages without belittling the reader. They require less attention to read, and are also a good option for people who want to learn a new language. 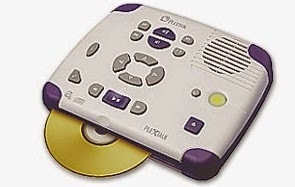 Daisy books: kind of the same as audiobooks, but they come with a special device. They have large, friendly buttons so you can slow down and speed up the reader’s voice or leave bookmarks. They’re designed for elderly people, the blind, but are also frequently used in hospitals. Braille: of course you’ve heard of this, but it deserves to be mentioned. Braille books can be borrowed in Belgium from the Luisterpuntbibliotheek. Braille books are usually a lot bigger and thicker than normal books. I have never seen one because they’re really expensive, but I’ve heard that the last Potter book had to be split in 13 volumes. Dwarsligger: Not sure how to translate this one. Google translate says I should use the word sleeper, but I hope I can explain what it is. 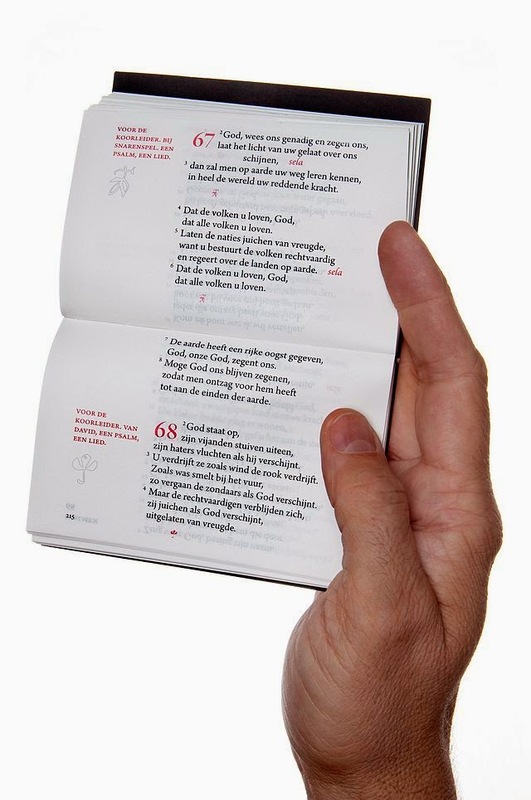 A dwarsligger is a book that is printed sideways on really thin paper. They’re usually about 5 cm by 10 cm big, which makes it easy for them to be stored in a handbag or in a suitcase. They’re really popular amongst travelers. Also they look great in miniature bookcases. E-reader: also barely needs an introduction. Some are convinced that books and libraries as we know them will die out soon – why get a book for 30 euros (I said, stroking my shiny new copy of Tolkien’s Beowulf) when you can just save the hassle of going to the store and download ten books for the same price? You can highlight passages, it’s light, easy for traveling, doesn’t take up much space, and you can read in the dark. You can even get a shiny one. …You’re not honestly expecting me to defend books against the “threat” of e-readers, right? E-boeken: (translated: e-books) This is a new project in several libraries all over Flanders. In this project you can buy a € 5 code in your closest library. With this code you can download three books, and these books will stay on your I-pad, Tablet or Smartphone for four weeks. It’s still quite new so it’s best to try out the free short stories first; this app doesn’t work on all devices. You could say it’s a way how libraries stay up-to-date. The total lack of demand is astonishing though. To summarise: if you want to read, there’s always a solution, and you might not always know it.